Product #5943 | SKU 6000H51020 | 0.0 (no ratings yet) Thanks for your rating! 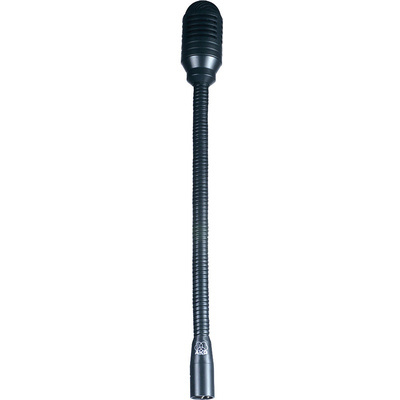 The AKG DGN 99E Gooseneck Microphone is rugged, flexible and features a dynamic capsule that doesn't require phantom power. The DGN 99E features an XLR connector at the base, making it easy for direct connection to preamplifiers, podium inputs and more. Its cardioid polar pattern eliminates unwanted off-axis noise while providing a generous pickup pattern, and the frequency response is tailored to maximise the intelligibility of speech.